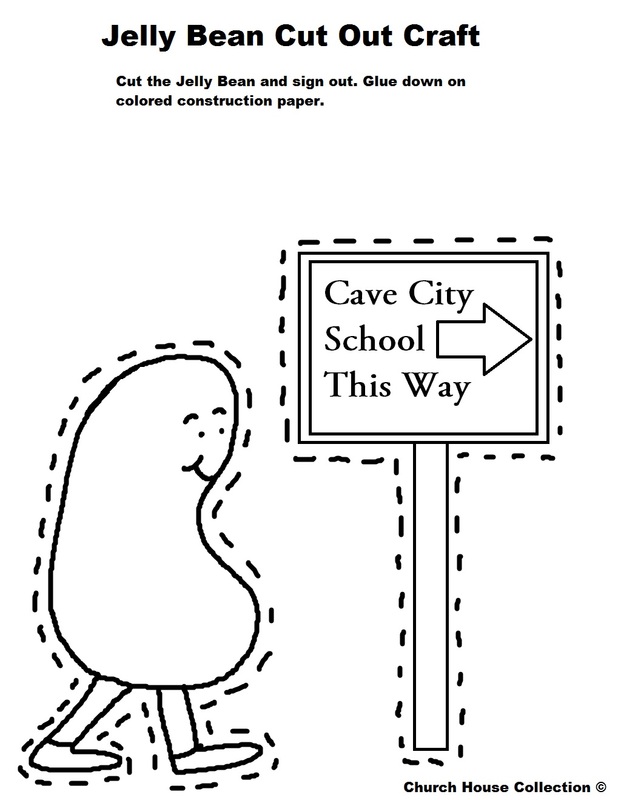 This is a Jelly Bean cut out craft sheet for kids that go to the Cave City School District in Arkansas. 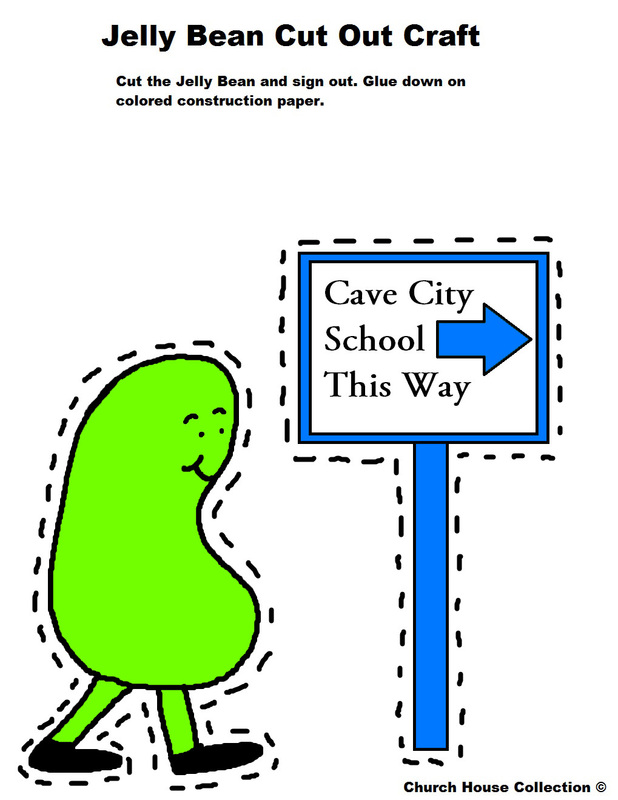 Pick out which cut out template you need and print it. We offer colored or black and white. Also the sign says two different things. 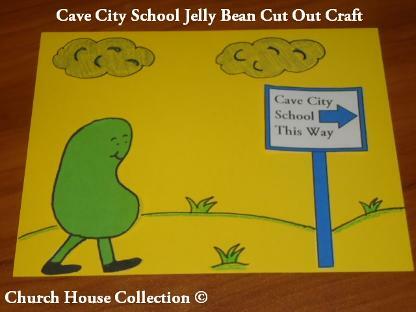 One sign say's "CAVE CITY SCHOOL THIS WAY" and the other sign say's "JELLY BEAN SCHOOL THIS WAY". That way anyone can make this craft with their kids. Have the kids color the Jelly bean and the sign. Then have them cut both pictures out and glue down on colored construction paper.